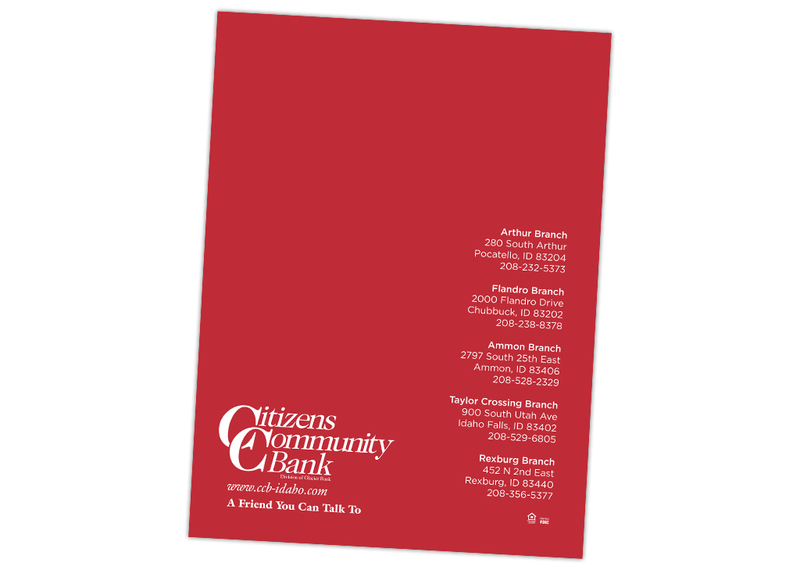 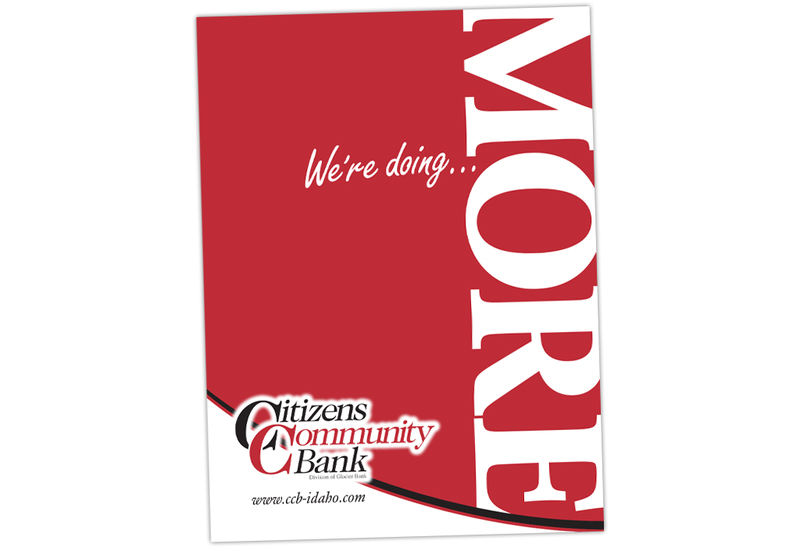 We partnered with MSVM Group to develop media kits for Citizens Community Bank. 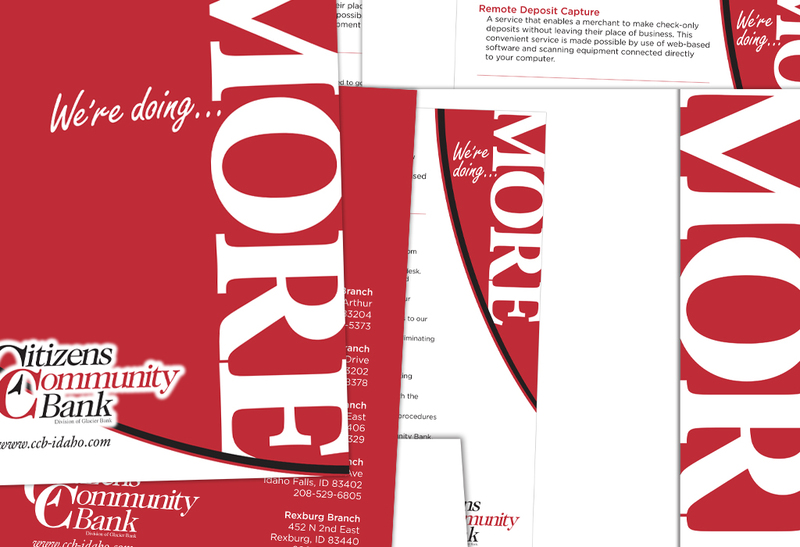 What began with the client’s store-bought folders with stickers on them, quickly become “more” as our concept of “We’re doing more” came life. 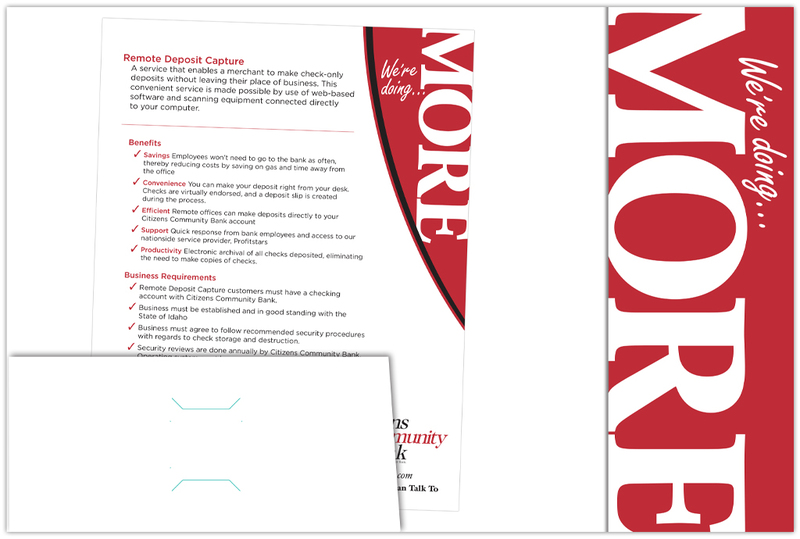 By writing the new headline, combined with custom typography, use of brand colors, and a little trial and error with fitting and bleeds, we were able to do more with this 2-color, one-sided kit, including a matching document template for the client’s in-house use.